Granted, I didn't read the whole description of the audiobook before purchase, but I was expecting a 7 hour book that I could fully understand. If I am ever lucky enough to learn Italian I will be able to return to the second part of this production. 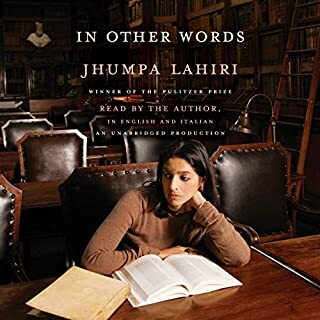 Jhumpa Lahiri's efforts to take the leap and write in a 2nd (3rd?) language are admirable.